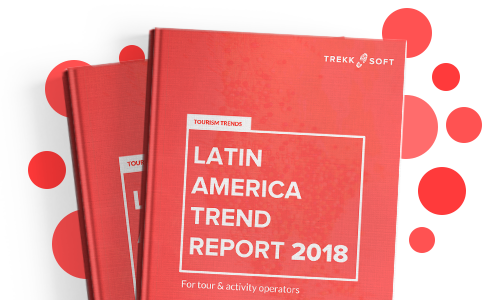 This report covers the latest tourism trends in the LATAM market, and is designed to assist tour and activity providers in how to tailor your approach to reach new markets. The Current EconomyWe look at the current state of the tourism sector in Latin America, and the prediction of growth in the next 3-5 years. Tourism TrendsThere are four key tourism trends to know that are impacting Latin America, and are set to continue growth for 2019, and beyond. How to reach mobile usersTo reach mobile users your company needs a mobile-optimized website. The best way to reach your audience on mobile devices is by having a responsive website. How to get more bookings For tourism companies, it’s not just about having a mobile-optimized website. It’s crucial to ensure that these visitors are also able to become customers.